Helen M. Nappi, age 96 died Saturday morning, November 10, 2018 at the Saybrook Landing in Ashtabula, Ohio. Helen was born on September 14, 1922 in Conneaut, Ohio the daughter of Michael and Fannie Pizzi Zappitello. She was a graduate of Conneaut High School Class of 1940. 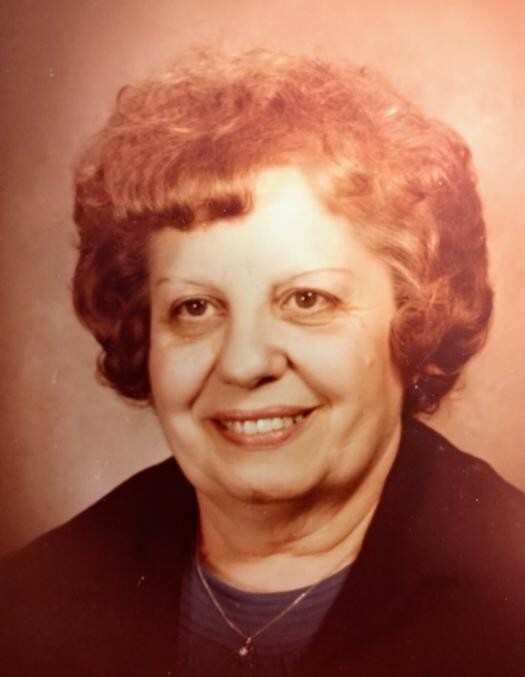 Following her marriage to her husband Pat Nappi in 1941, Helen worked at the former Astatic Corporation during WWII, she also worked for many years at the family’s market in Conneaut called “Pat’s Market” which was across from the Conneaut Stadium. Helen later worked a few years at Rodger’s Jewelers in downtown Conneaut as a retail clerk. Helen was a member of both Corpus Christi Parish and Our Lady of Peace Parish and attended mass for many years at St. Frances Cabrini and later Mt. Carmel. She enjoyed playing bingo, jigsaw puzzles, cards, crocheting, and playing bocci with family and friends. Helen was a wonderful cook specializing in her Italian dishes. She was preceded in death by her parents, husband Pat in 1992, brothers Harold, Michael and John Zappitello, sisters Flo Murphy, Mary Copple, Minnie Capela, Emma Zoratti, Angela Dysert and an infant sister. Helen is survived by two sons, Sam and Carol Nappi of Ashtabula, Pat Nappi of New Smyrna Beach, Fl, two grandchildren Gregory and Victoria Nappi, Nancy and Kenneth Reed and 3 great-grandchildren. Private family services will be held on Wednesday at the Raisian Family Funeral Home with Fr. Raymond Thomas of Our Lady of Peace Parish officiating. Burial will follow at St. Joseph Cemetery in Conneaut. Memorial contributions in Helen’s memory can be made to the Hospice of the Western Reserve or the Saybrook Landing, for the wonderful care given to Helen.